There are now only 39 days until Free Practice 1 gets underway in Melbourne for the first race of 2013. All teams have now announced launched dates for their new cars, and on 5th February there will be cars out on the track in Jerez as the first pre-season test gets underway. To whet your appetites for the season ahead, we have curated a team-by-team list of the drivers that will be on the grid, passed comment on each driver line-up, and looked at what each team will have to do to make this season better than last. Testing gets underway this coming week, but still two seats needs to be filled. Timo Glock‘s departure from Marussia means that there is a seat alongside Max Chilton at the Banbury-based team – Luiz Razia is expected to be confirmed in the position within the next few days. Meanwhile, at Force India, the car has already been launched, but there is still nobody to partner Paul di Resta in 2013. Article last updated on 03/02/2013. It will continue to be updated as the new season approaches to reflect driver news. Red Bull are retaining the services of Sebastian Vettel and Mark Webber for the fifth successive season. The consistency has certainly helped them in recent years, as three consecutive drivers’ and constructors’ championships will testify. If Adrian Newey can provide his drivers with another great car in 2013, the rest of the field will have their work cut out in trying to prevent Vettel from taking a fourth successive title. Webber got off to a good start in 2012, and seemed to have an edge over his team-mate during the first half of the season, but his results tailed off drastically after his win at Silverstone. He will be hoping to give Vettel a more consistent challenge in 2013. Fernando Alonso was most people’s pick as ‘Driver of the Season’ last year and, if the Ferrari F2012 was even a tiny bit better, it would be he who was celebrating a third title now, not Vettel. If his team can provide him with a car that is closer to the Red Bull this season, few would bet against Alonso winning the championship. Felipe Massa put in some excellent performances in the latter part of 2012, showing that he was deserving of the extension to his contract that means he remains with the Scuderia. In fact, in the final few races of last season, he was out-qualifying and out-racing Alonso. It will be interesting to see if he can give his more famous (and more favoured) team-mate a run for his money this year. With big driver changes at McLaren and Mercedes this season, surely Ferrari are the best equipped to take the fight to Red Bull? Lewis Hamilton has now departed, and it is up to Jenson Button to lead McLaren whilst taking promising rookie Sergio Perez under his wing. Hamilton was McLaren‘s go-to man for a good qualifying performance last year (he took pole position seven times in 2012) so Button will need to improve on his single pole position if this new driver line-up is going to deliver results. Perez had some stand-out performances in 2012, including his three podium finishes. If he is going to impress his new employees though, his consistency will have to improve. Can he win a race in 2013? Probably! In 2012, Kimi Raikkonen showed that he had lost none of his speed, race-craft, or unique personality during his two year sabbatical. The win in Abu Dhabi was beautifully taken, and he was the only driver to avoid a DNF in 2012, suggesting that he also has a knack of staying out of trouble. Perhaps, in 2013, he can teach his team-mate a thing or two in that regard? Romain Grosjean demonstrated how quick he was on a number of occasions last season, but the rest of the paddock seemed more interested in his propensity to crash at the start of races. Lotus rightly gave him a second season to show what he can do – hopefully he will eliminate the mistakes and show his detractors that he can live up to the potential of which he gave us glimpses in 2012. And how will the new Lotus perform? Last season’s E20 was very quick, and its development seemed to keep pace with rival teams. Was this success a one-off for last season, or can the Enstone-based outfit continue to push their way towards the front of the grid. The big story to break last season was the news that Mercedes had poached Lewis Hamilton from McLaren. Many people proffered opinions as to whether it was a good move for the 2008 world champion, but this year we should get a definitive answer. Unless the new Mercedes is a significant improvement on the model that scored just six points in the final six races of 2012, Hamilton will not be winning any races for a while. Will he get frustrated, or will he get his head down and focus hard on motivating his new team? Nico Rosberg needs to show that he can live with the pace of Lewis Hamilton this year. If he is comprehensively out-qualified and out-raced by his team-mate in 2013, questions will begin to be asked about whether he will ever be able to challenge the greats. On paper, Mercedes have a technical department to rival any on the grid. Ross Brawn has turned around teams who have had difficult seasons before – at Ferrari and when his current team was Honda/Brawn – so can he do it a third time? One could make a good case for Sauber being the team of the year in 2012. They scored far more points than anybody expected, and managed four podium finishes. One fears that they will not be able to reach the same dizzy heights in 2013 but, in new driver Nico Hulkenberg, they have a fast driver who will get good results if given a decent car. Esteban Gutiérrez is one of three drivers who will be starting their first F1 race in Melbourne this March. He has been in and around the Sauber team for a couple of seasons now, so will know everybody well, and is probably the best prepared of all the rookies on the grid. However, his promotion to race driver means that he is depriving Kamui Kobayashi of a place in F1 – will Gutiérrez be able to deliver consistent points-finishes like the Japanese driver? Force India have been in no rush to announce their drivers this season. Paul di Resta will be in one seat – no surprises there – but the identity of his team-mate is anybody’s guess. Despite there being less than two weeks to go until the team launch their new car, they are still no closer to announcing who will be driving it. Jules Bianchi, who is on Ferrari‘s books, may get the nod, although the team’s former driver Adrian Sutil, and ex-Toro Rosso man Jaime Alguersuari have also been linked with the seat. In 2012, Force India were beaten by Sauber, even though they had begun the season hoping to be competing with the likes of Mercedes and Lotus. They will need to make up that lost ground in 2013. Pastor Maldonado was always going to be safe in his Williams seat, thanks to the millions of pounds of Venezuelan oil money that he brings to the team. Even so, some of his performances in 2012 – including that sensational win in Barcelona – have meant that he deserves his seat on merit. However, Maldonado was also the only driver to pick up three reprimands from the stewards last season. There is no doubt that the 27-year-old is fast, but will he manage to stay out of trouble this year? He may face a difficult challenge from new team-mate Valtteri Bottas. The Finn is highly rated by Williams, and they expect big things from him this year, even though it will be his first season in the sport. The team looked to have turned a corner last season. The re-structured technical department delivered a car that, on its day, could compete with the best of them. More of the same is needed! Daniel Ricciardo and Jean-Eric Vergne get another year to prove their worth at Toro Rosso. The prize if they do well could be a promotion to the main Red Bull team in 2014. Fail, and they will be cast out onto the F1 scrap heap, forced to fight for themselves. Toro Rosso seemed to take a step backwards in 2012, scoring only 26 points compared to the 41 they scored in 2011. If Caterham and/or Marussia finally get their act together in 2013, and build a car fast enough to compete with the rest of the field, Toro Rosso will be the first to feel the effects. Luckily, the team recruited James Key as technical director in September. He will have some input into the new car, and 2013 may see Toro Rosso begin to turn things around. Their two drivers will certainly hope so! It is all change at Caterham for 2013! 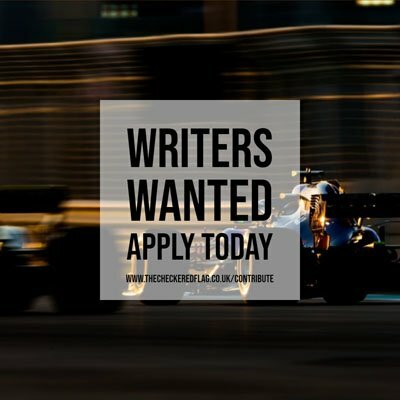 The team have dispensed with the services of Heikki Kovalainen over the winter, despite the Finn being the best driver at that end of the grid over the last three seasons, and Vitaly Petrov as also been moved aside. In their place, they have Charles Pic, who did a good job at Marussia last season and occasionally out-performed Timo Glock, and Giedo van der Garde, who gets a promotion from GP2. The team have begun every season (except their first) claiming that they were ready to take the fight to the more established teams and start scoring points. Each time, they have failed to deliver. More often than not, they have been too slow, and have rarely come close to disturbing the established order. Admittedly, Caterham have been the team who look as though they will make the breakthrough first, but this season there really is no excuse, even if their two drivers have the combined experience of just 20 grand prix starts between them. Marussia received plaudits last year for being one of the most improved teams, and showing that they were building for the future, and steadily getting closer to the point where they can start to mix it with the big boys. This season, it is time to deliver or, at least beat Caterham. They could find it a bit tricky though. Timo Glock, who had 91 grand prix starts under his belt, has left the team ‘by mutual agreement’. This leaves Max Chilton, with a grand total of zero F1 racing experience, and somebody else. This somebody else is likely to be confirmed as Luiz Razia (at least if you read the Brazilian’s website a few days ago), who also has absolutely no grand prix starts to his name. The team have their work cut out in 2013!